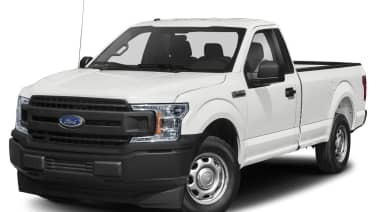 According to a report from Reuters, Ford has been sued for allegedly selling F-Series pickup trucks and E-Series vans with defective fuel tank linings. The suit alleges that Ford knew about the problem and continued to sell affected vehicles over a 10-year period. According to the complaint, the fuel tank lining of Ford's full-size trucks and vans built between 1999 and 2008 can "separate and flake off," clogging the fuel system and causing the truck to stumble or stall. Further, Ford is said to have issued a "secret" technical service bulletin to dealers about the problem, but never issued a recall or offering to fix customer vehicles for free. The complaint, brought on by Coba Landscaping and Construction Inc of New Jersey and its principal Galo Coba, is said to be seeking class-action status on behalf of all owners of affected models. Considering that the Ford F-Series pickup was the best-selling vehicle between 1999 and 2008, that's a heck of a lot of owners. Ford has yet to comment on the issue, saying it has not received the complaint. Apparently, the issue is unrelated to the rusted-out gas tank straps found by certain F-Series owners in snowy climates.